We have just added new catalogs and yearbooks from Central Piedmont Community College. CPCC is currently the East Coast’s largest community college and was founded in 1963 when two colleges — Mecklenburg College and the Central Industrial Education center — merged. These yearbooks are from the years preceding the formation of CPCC and feature the students, staff, programs, and happenings of Carver Junior College and Mecklenburg College. 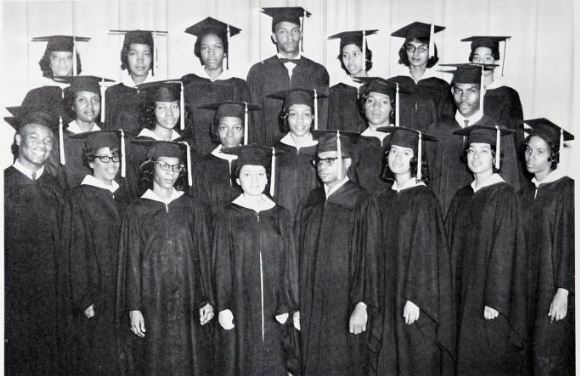 Mecklenburg College’s class of 1963 from the 1964 Echo. Carver College was a predominantly black junior college in Charlotte, North Carolina from 1949 to 1961. Carver College’s name was changed to Mecklenburg College in 1961, which it remained known as until its inclusion in the formation of CPCC in 1963. These yearbooks capture scenes of students enjoying the campus and participating in events, organizations, and programs at the college and in the community. 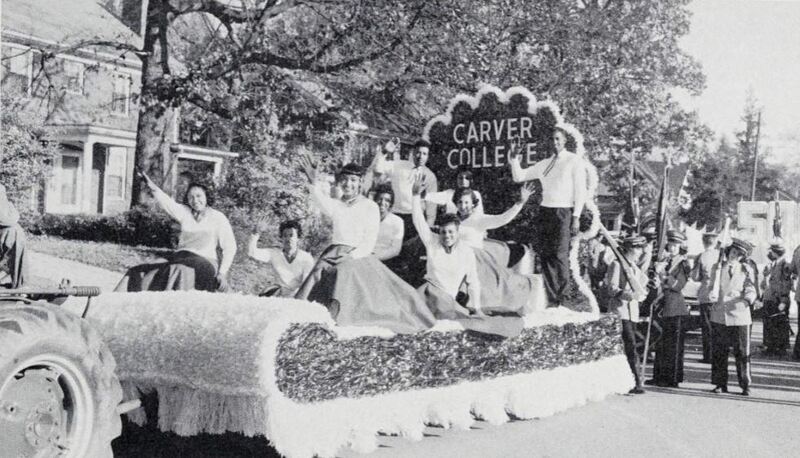 Carver College students on their red ribbon winning parade float from the 1957 Carveran. To learn more about Central Community College, visit their website or partner page here on DigitalNC. All of the materials — college catalogs and yearbooks — uploaded in this batch can be accessed here. The yearbooks included in this batch are individually linked below.